Trilogies are the best and worst kind of torture in the world of reading. You read the first book, hit the cliffhanger, and end up agonizing while you wait for the next installment. It’s not much easier when you stumble upon a trilogy that’s already completely published. Then you have not just one book, but three books to devour; ensuring you won’t function in reality any time soon. A lot of the books I’ve enjoyed over the years have been trilogies or part of a series. However, minor characters don’t usually hold my attention. Therefore I’m not a huge fan of series that branch off into novels about every supporting character. I can’t keep track of all them and end up having no idea who I’m reading about or where they fit into the storyline. 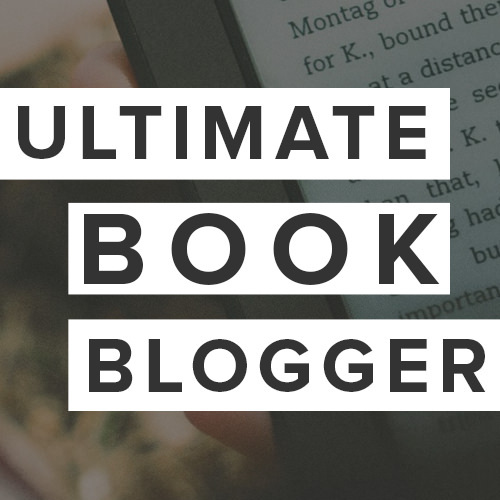 So when one book just isn’t enough, here’s a list of trilogies to add to your TBR list! Including Slammed, Point of Retreat, and This Girl, is the series that started it all – where my love for Colleen and indie authors began so many years ago. I love this series and all the characters. IMHO, you should read every single book Colleen Hoover has ever written. She’s that good! Following the unexpected death of her father, eighteen-year-old Layken becomes the rock for both her mother and younger brother. She appears resilient and tenacious, but inside, she’s losing hope. Then she meets her new neighbor Will, a handsome twenty-one-year-old whose mere presence leaves her flustered and whose passion for poetry slams thrills her. Not long after a heart-stopping first date during which each recognizes something profound and familiar in the other, they are slammed to the core when a shocking discovery brings their new relationship to a sudden halt. From my love of Colleen Hoover, I discovered my #1, The Queen, Tarryn Fisher. 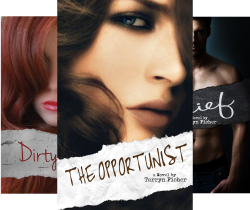 This list wouldn’t be complete without her first three novels, The Love Me With Lies Series including The Opportunist, Dirty Red, and Thief. Tarryn’s writing isn’t for everyone, or so I’ve heard. Some people just don’t identify or feel comfortable with her style of writing, they want the fairy tale. The only way to describeTarryn’s writing is that it’s the real, messy, sometimes cruel reality of life and love. My two favorite authors came together in this trilogy. 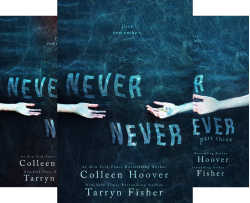 Colleen Hoover and Tarry Fisher teamed up to release The Never Never Novella Series including Never Never Part 1, Part 2, and Part 3 and it’s about to be re-released in one book so I can’t wait to get my hands on the physical copy! Including Reason to Breathe, Barely Breathing, and Out of Breath. This trilogy tortured me as I waited on pins and needles for each installment. And it was always well worth the wait! There’s been buzz about a movie. In the affluent town of Weslyn, Connecticut, where most people worry about what to be seen in and who to be seen with, Emma Thomas would rather not be seen at all. She’s more concerned with feigning perfection while pulling down her sleeves to conceal the bruises – not wanting anyone to know how far from perfect her life truly is. Without expecting it, she finds love. It challenges her to recognize her own worth – but at the risk of revealing the terrible secret, she’s desperate to hide. Simply entitled Happenstance Part 1, Part 2 and Part 3. This series had me intrigued from the start. Erin Easter, one of three Erins in the small senior class of rural Blackwell High School who not only share a first name but also their birthday. A shocking tragedy rocks the tiny town, and Easter’s life is turned upside down in the best way possible. But when the truth is revealed and everything she thinks she wanted falls into her lap, life only becomes more complicated. Including Providence, Requiem, and Eden. This trilogy breaks from my normal genre a bit as the plot follows some religious themes. Although in a non-traditional sense. I couldn’t put these books down! In the old world shadows of Providence, Rhode Island, Nina Grey finds herself the center of a war between Hell and Earth. Struggling with her father’s death, Nina meets Jared Ryel, presumably by chance. However, it soon becomes clear that he knows more about her than even close friends. When her father’s former associates begin following her in the dark, Nina learns that her father was not the man she thought he was, but a thief who stole from demons. In searching for the truth behind her father’s death, she stumbles upon something she never expected, and something Hell wants, that only she holds the key for. Jared risks everything to keep the women he was born to save, by sharing the secret he was sworn to protect. Don’t miss other titles by Jamie McGuire as well, she’s another author who hasn’t published anything I don’t like! Including Thoughtless, Effortless, and Reckless currently has five books in the series, however, the final two novels are based on the original 3, told from an alternate POV. You can read the first three books as a trilogy and I highly recommend them! These have stayed at the top of my favorites list for a very long time! Including Collide, Consumed, and Collateral follows Harlow Jones through rebellion and relationship turmoil and has some great laugh out loud moments I can’t forget. Harlow Jones has a troubled past and a questionable future. Surrounded by death, tragedy, and intrigue, she is forced to mature long before her time. Plagued by anxiety and depression, she hides her inner turmoil with spite and sarcasm. Her thick skin is impenetrable…or so she thought. Until she becomes involved with her grade twelve English teacher. Including Rebel Soul, Rebel Heart, and Rebel Song is one of the exceptions to my branch-off rule. Each of these books does follow a different set of characters. However, the first book drew me in, I had to see where everyone ended up! And if you’re in the holiday spirit, there is a novella Rebel Christmas that’s a nice little addition to this trilogy! Tessa Armstrong has one more summer at home before heading off to college with her best friend. She’s been counting down the months, waiting to be free of her overbearing brothers and overprotective father — not to mention getting out of the small, suffocating town she’s grown up in. The one thing Tessa doesn’t count on is falling in love, least of all with Brock Miller. He’s the kind of boy her father has always warned her about. He’s older, mysterious, and a little dangerous. Including Sweet Little Thing, Sweet Little Lies, and Sweet Little Memories was once available exclusively on iTunes. The first book in the series, Sweet Little Thing, is now also available from Amazon, Barnes & Noble, Kobo, Smashwords and on Audio. I’ve read Sweet Little Thing and it was a complete shock. I can’t wait to finish this trilogy! The day her mother passed away, Beulah was only given a name. That was it. No other explanation. Portia Van Allan was not someone Beulah could believe her mother ever knew. Wealthy, self-absorbed and other than the fact Portia was supplying special care for Beulah’s sister, Portia was cruel. The day Portia’s son returns home for the summer, Beulah discovers that Portia isn’t in charge. This isn’t her home at all. Her late husband left her with nothing. It all belongs to their son who doesn’t seem to like his mother at all. Jasper Van Allan doesn’t know why his mother has hired a young gorgeous blonde to take care of the house and almost lets her go before he finds out the truth. Realizing there’s more to Beulah than a stunning face, he keeps finding reasons to be near her all the time. It’s all falling into place, it all begins to make sense…. until the real lies, the dark secrets, and the skeletons come tumbling out of the Van Allan closet. Twisted truths that will send Beulah running . . .
I’ve really enjoyed everything I’ve read by Abbi Glines so I can’t bring her up without mentioning The Rosemary Beach Series. There are currently 14 books in the series but I loved the first three, Fallen Too Far, Never Too Far, and Forever Too Far. This is a series that branches off following other characters so I never read past the first three novels. However, Abbi Glines never disappoints! The two-book series by Gayle Foreman including If I Stay and Where She Went gained popularity and recognition when If I Stay, made its debut on the big screen in 2014. Also available from Gayle Foreman is the Just One Day Series, which I’ve not yet read but is definitely on my TBR list, including Just One Day, Just One Year, and Just One Night. It all starts when American good girl Allyson—better known as Lulu—decides to spend just one day in Paris with Dutch hottie Willem. It’s a whirlwind adventure filled with heart-racing romance, but the next day Willem is gone without a trace. What follows is one year of searching that ends with a steamy reunion on the one wonderful night when they finally find one another again. I hope you find some trilogies on this list that strike your fancy! 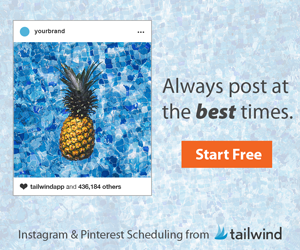 Drop me a line in the comments and let me know your thoughts! Tell me if you’ve read any of these or if there are other trilogies you’d like to suggest! Thank you for taking the time to peek at my new, little blog and for feeding my reading/romance addiction!